All junior cycle students take courses leading to the Junior Certificate Subjects are available at either Ordinary or Higher Level, although three subjects, Irish, English and Mathematics, can also be studied at Foundation Level. While a majority of subjects are assessed as part of the Junior Certificate Examination, the junior cycle provision also includes a number of subjects that are integral to the curriculum, but are not formally assessed in this way. The inclusion of these subjects in the curriculum ensures that students receive a broad and balanced education that introduces them to all the areas of experience relevant to the needs of learners at this age and stage of their development. 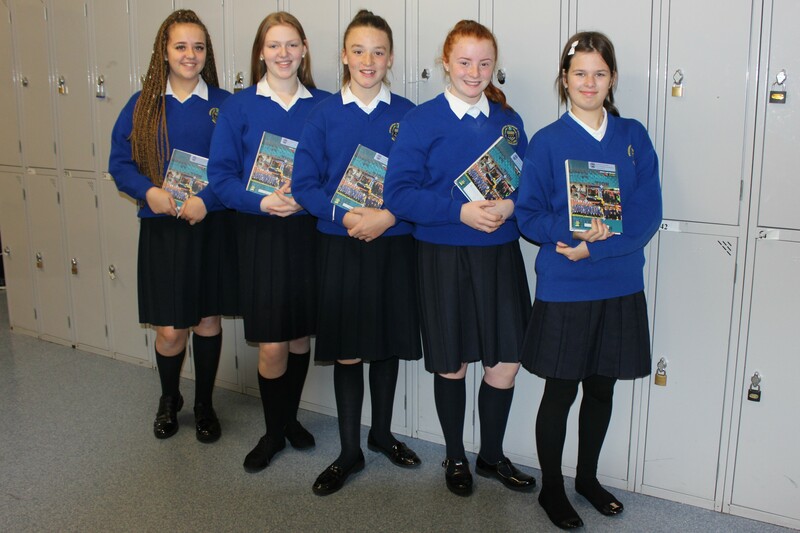 Non-examination subjects at junior cycle in our school include Physical Education, Social, Personal and Health Education, Digital Literacy and Religious Education. 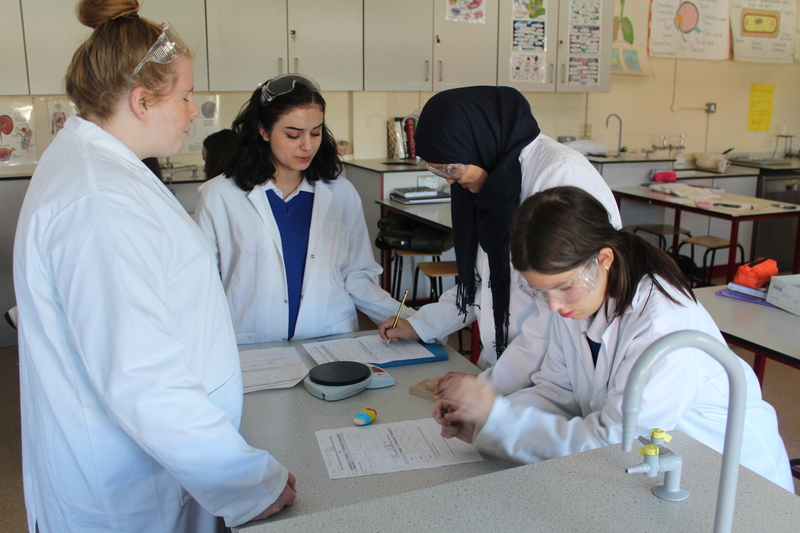 In first year, the Junior Certificate provides an educational path for a student’s development where she explores the options and opportunities for the future. 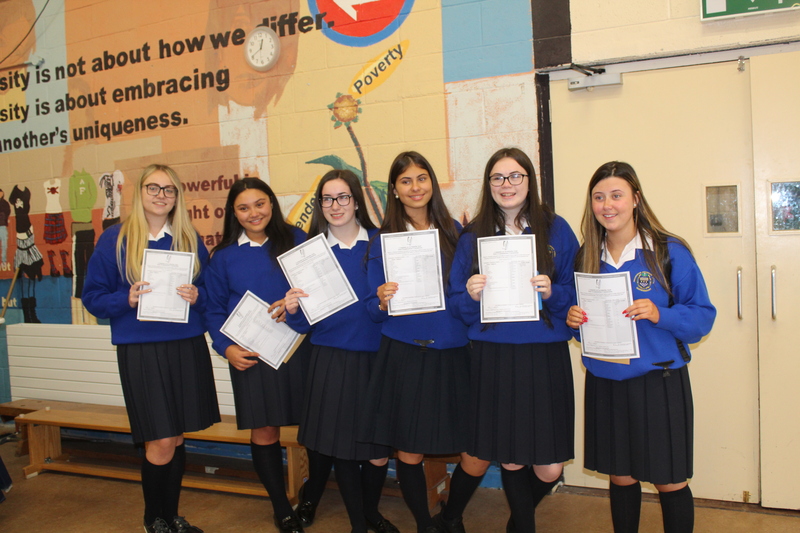 In order to facilitate this in first year, the student is exposed to a wide range of subjects, allowing her, later in the year, with the support and guidance of her parents and teachers, to make an informed choice about those subjects she wishes to carry forward to the Junior Certificate exams. The junior cycle allows the student to explore and shape an interest and ambition in subject areas for the future senior cycle. The Principal allocates students to classes. Subject to sufficient demand and resources, the Board of Management reserves the right to determine, on an annual basis, the range and level of subjects. *Provision for students with special educational needs is integrated into the curriculum at all levels. For more information visit www.ncca.ie. With significant reforms to the junior cycle which have begun on a phased basis, the new junior cycle will feature revised subjects and short courses, a focus on literacy, numeracy and key skills, and new approaches of assessment and reporting. Schools will have more freedom to design junior cycle programmes that meet the learning needs of all students. For students, the new junior cycle will mean that the curriculum available in their schools will be a mix of subjects and short courses as well as other learning experiences. The new junior cycle will operate in schools alongside the programmes based around the existing Junior Certificate for the next number of years. During second and third year, students now complete a number of Classroom-Based Assessments in a number of subjects. For a small group of students with special educational needs, priority learning units (PLUs) will be provided. These components will enable the statements of learning, literacy and numeracy and other key skills to be become a reality for the students throughout their three-year junior cycle.